When it comes to fire extinguisher servicing call ETC Fire in Sussex for expert advice. When you need a professional to visit and check that your fire precautions are sufficient, you can rely on us. ETC Fire have spent 40 years in the business of fire protection and we can supply and fit, check and service all kinds of fire extinguisher, give you advice on fire prevention, train your staff and supply all kinds of fire hoses, fire blankets and accessories as well. Who can I rely on for reliable Fire Extinguisher servicing Sussex? ETC handle the details and checks which will give you both safety and peace of mind when you know your fire precautions are well in hand. We can offer you a servicing contract where we visit once a year without fail. For our customers all around Sussex we offer both a contract to check all your fire extinguishers every year and a complete Fire Protection Service for business owners and domestic customers in Sussex. When you've bought that expensive fire extinguisher, don't leave it languishing hidden in the cupboard. Obviously they don't look pretty, but they are designed to do a vital job and must be noticeable in an emergency and therefore should be left in an obvious place, either on the floor or hanging on the wall on a bracket specially made for the purpose - near to the likely source and easy to grab in an emergency. When a fire starts, you need to know what to do quickly before it takes hold. You can book some training with us at a time convenient to you and your staff, even if they work shifts, or at night, so that you or they can have more confidence at fighting the fire themselves before it gets too big. For you and your staff, or family, being more fire aware could save your life and your property! When it comes to Fire extinguisher servicing Sussex firm ETC Fire will ensure that your fire extinguisher is primed and ready for action in an emergency! Why should I have regular fire extinguisher servicing? If there is a fire, you also need to rely on that fire extinguisher working properly. We both supply and service fire extinguishers around Sussex plus hose reels and any other equipment that you need checked. Once yearly visits are recommended for most extinguishers. On our first visit, we can advise on what precautions you could put in place to prevent a fire and which fire extinguishers are needed for different situations, and advise what you should purchase. There is no need for your whole home or business premises to go up in smoke because of fires that could have been prevented in their early stages. If you're an employer, your staff also need to be updated every six months, by law, on the safe operation of the fire equipment, and practise a swift means of getting themselves out of the building for a roll call in a safe area (a Fire Drill). 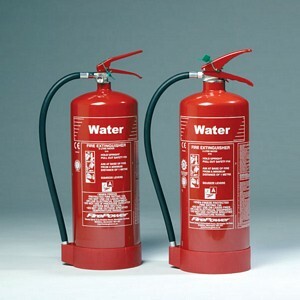 Whatever you need, Fire extinguisher servicing Sussex firm ETC Fire will help you out. Schedule a Fire Drill on your calendar a few times a year, ensure that all staff have the chance to participate, and leave it to ETC Fire to ensure your firefighting equipment is up to date and fit for purpose. That way you can relax with that part of your fire safety responsibilities covered.